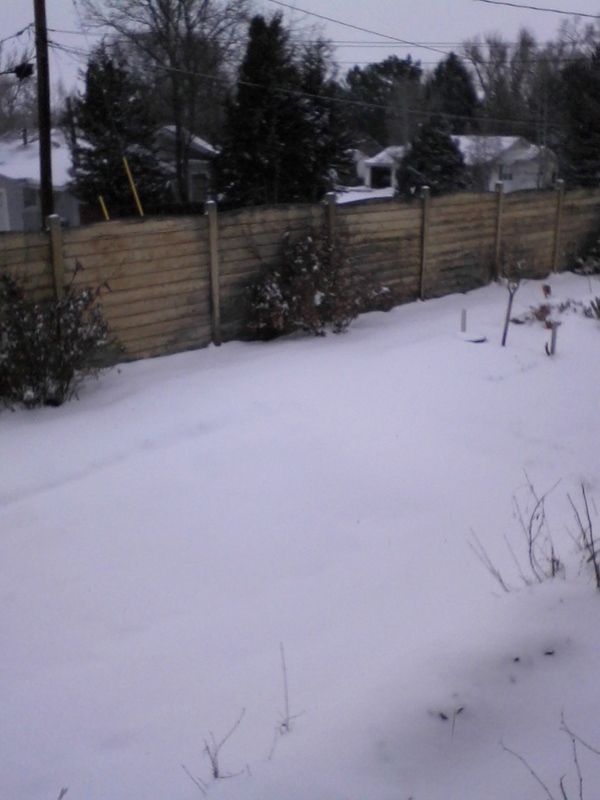 The local schoolchildren are happy–they got a snow day! ← Are you there, God? It’s Margaret. Dogs or dogs as in “he is a dog”? Do dogs have a 2nd amendment? No, dogs can neither conceal nor openly carry. I’m sure the sign was warning owners of real dogs! They’re not in the photo, but there are real cattle roaming around the outskirts of town, esp. on our river bike/walk path. So, the cattle-men beat the sheep-men back in the nineteenth century, and now they’re going for double-or-nothing by taking on the dog-people. Bizarre. Maybe the sign should say “shot AT…,” given that a lot of gun nuts couldn’t hit a Mail Pouch sign on the side of a barn without they were “deploying” a fifty shot clip. Maybe that’s what the “may” refers to. I hope that Creepy-head Doll is still snoozing, stowed away in a warm shoebox in the garden room! I just got done telling our kids that winter had fled for good. Oh, the cowman and the doggies should be friends. The cowman and the doggies should be friends. . . there’s no reason why they can’t be friends! 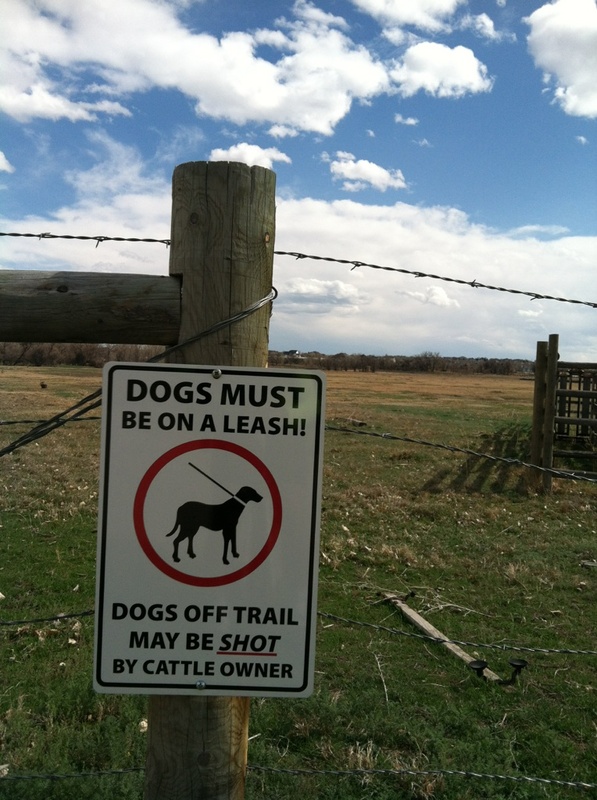 Well, domestic dogs are a real threat to livestock, so the rancher has a point. Of course, most livestock deaths have nothing to do with non-human carnivory. Weather, calf birthing, disease, and so on, do most of the pre-slaughterhouse damage. This handy cow-shaped chart gives the numbers. And a song with dogie consciousness-raising right back at’cha. One of our family dogs went to a ‘farm in the sky’ because it got on the wrong end of a farmer’s gun. That dog hadn’t actually been a ‘sheep-worrier’ (just in the wrong place at the wrong time), but we did have one puppy who did and whom my father gave away (I think) because it wouldn’t learn and we lived rurally and that wasn’t an option in a family pet. I shoulda written “Creepy Doll-head,” of course, rather than the other way around, or just checked the blog archive first. Anyway, I hope she’s well after a number of seasons of sentry duty out that way. The rancher should maybe look into getting one. I wonder if taking a picture into a beefalo operation, even from a public trail, broaches or raises any “ag-gag” issues, as being reported a lot lately in the Eastern press? I think I snapped this photo last weekend, after pausing by it it on numerous rides previously, because the state legislature is pushing through a bill that would require yearly refresher courses for police officers on how to deal with troublesome dogs (in ways other than drawing one’s sidearm with news cameras rolling). Combine that with the resistance to gun control legislation currently making its way through the statehouse and the amount of cognitive dissonance dealt with on a daily basis becomes staggering. Indyanana, it would be difficult to point a camera in any direction in this county and not run afoul of ag-gag laws. passing this along…. about adjuncts and learned diminutions.